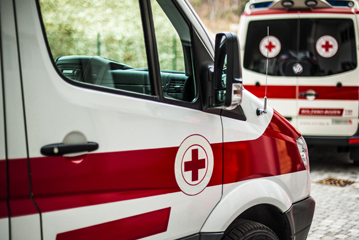 For more than thirty years, Mangar has connected with a range of different sectors serving the healthcare industry including EMS, Senior Living Centres, Distributors and those living at home. 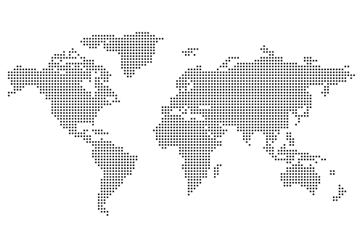 For more than thirty years, Mangar has connected with a range of different sectors serving the healthcare industry including EMS, Senior Living Centres, Distributors and those living at home. 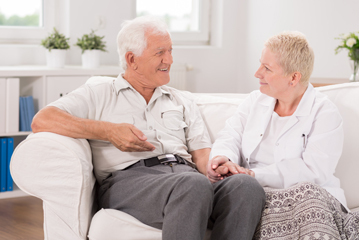 Our products are designed to give patients and customers simple solutions for independent living. 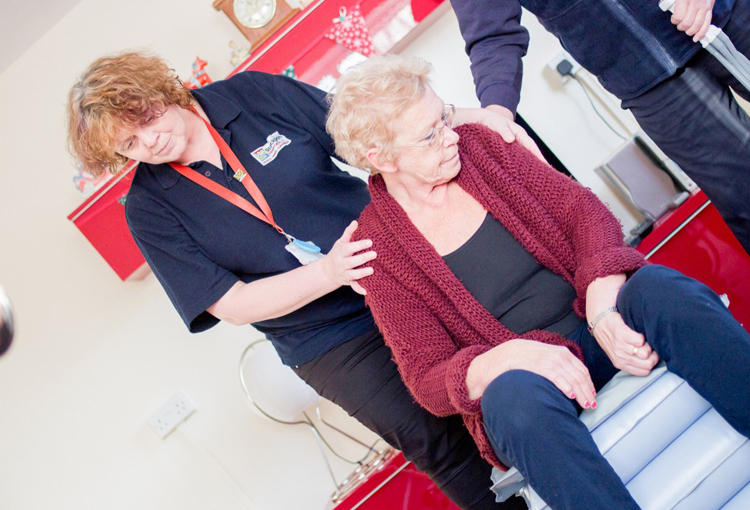 We achieve these by designing products and rehabilitation equipment for disabled and elderly people to help with everyday tasks such as getting in and out of bed, taking a bath, and lifting a fallen person from the floor. 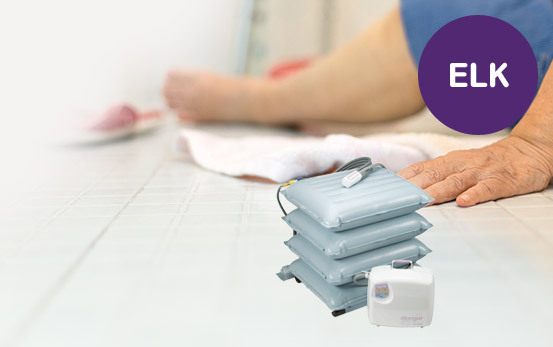 These products are used widely across the sectors we work with, with proven results when it comes to the improvement of caregiver health, whether that’s at home, in a hospital or in a residential home. Here at Mangar we work closely with distributors to supply a range of assistive technology equipment for independent living. 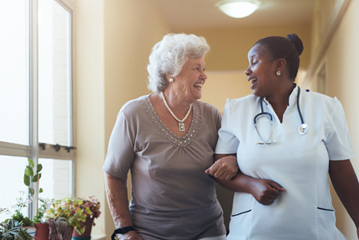 Mangar works directly with the social care workforce to reduce staff sickness and associated costs, while at the same time encouraging greater staff productivity during a fall. The Mangar At Home range is designed to improve comfort whilst protecting people’s dignity and independence. 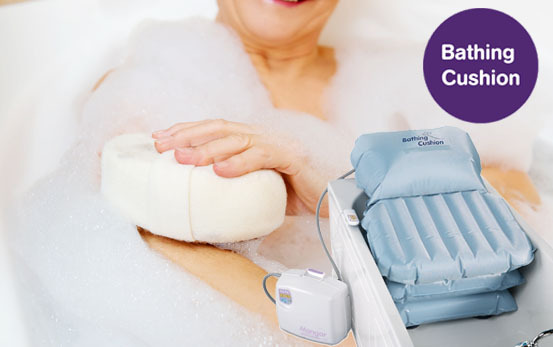 The Bathing Cushion is ideal if you have difficulty getting in and out of the bath. We are very aware that while our customers require help with some aspects of daily life, the home still needs to feel like home. That’s why we make sure all our products are designed to work alongside your existing furniture and require no permanent fixtures or alterations to your home. This means if you decide to move house, go on holiday, or simply want to free-up furniture or the bath for another person, all our products can be removed or re-fitted in a matter of seconds. To make sure we deliver on this, all our new products are tested by the very people who use them as well as healthcare professionals before they come to market so you can be sure they are more than fit for purpose.